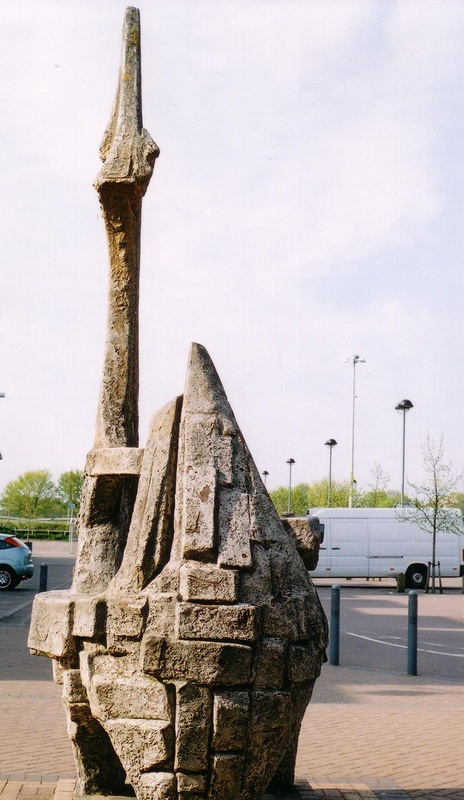 This fibreglass sculpture was originally placed at the junction of Queensway and The Forum in 1972, but was later moved further east along The Forum to its present site. Costing £3,000, it was unveiled by Nigel Abercrombie of the Arts Council. This page was added on 16/02/2011. As a child I remember climbing on this (with a host of other bored urchins) while waiting for our mums to come out of C&A, and my big sister to come out of the record shop (Our Price Records?) Late 70s early 80s I believe.